Distribution: Within about 100 km of the coasts of NSW, VIC, QLD (except far North), Eastern SA and the SW tip of WA. 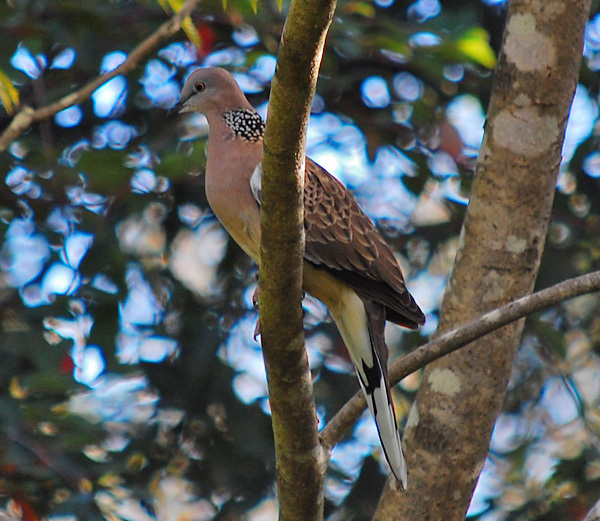 The Spotted Turtle-Dove is a kind of pigeon, however not as "gross" as the common Feral Pigeon. It has an easily recognisable "coo coooo", or "coo cooooo coo" kind of call which (like most bird calls) is much easier to hear than to read. It raises and lowers its tail on alighting. The black-with-white-spots area on the back of the Spotted Turtle-Dove's neck makes it easy to recognise. 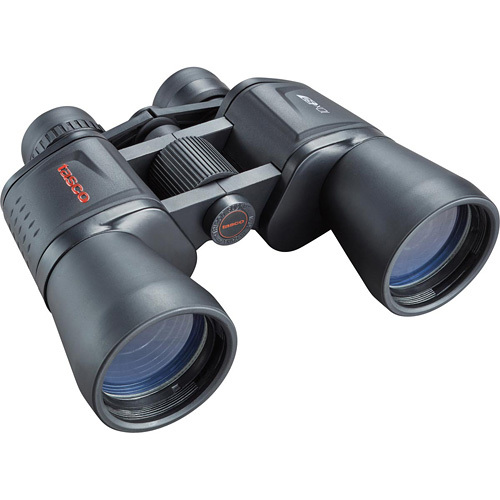 Birdwatchers call the Spotted Turtle-Dove the "STD". 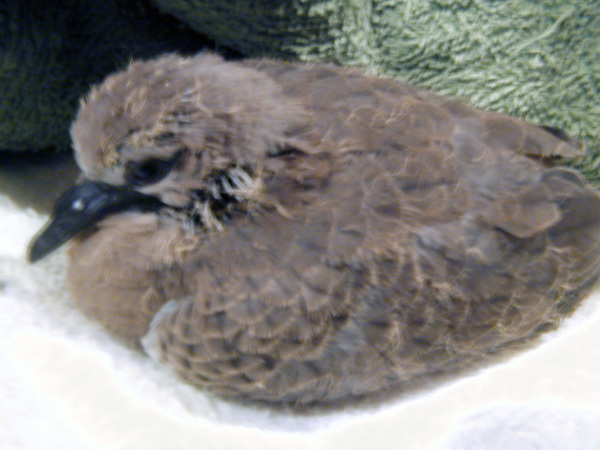 The photo below shows a baby Spotted Turtle-Dove that had lost its parents.